1. Circuses, such as the Circus of Hadrian, were venues for all but which of the following? 2. What river flowed along the western edge of Rome? 3. The Colosseum was located between all but which of the following hills? 4. 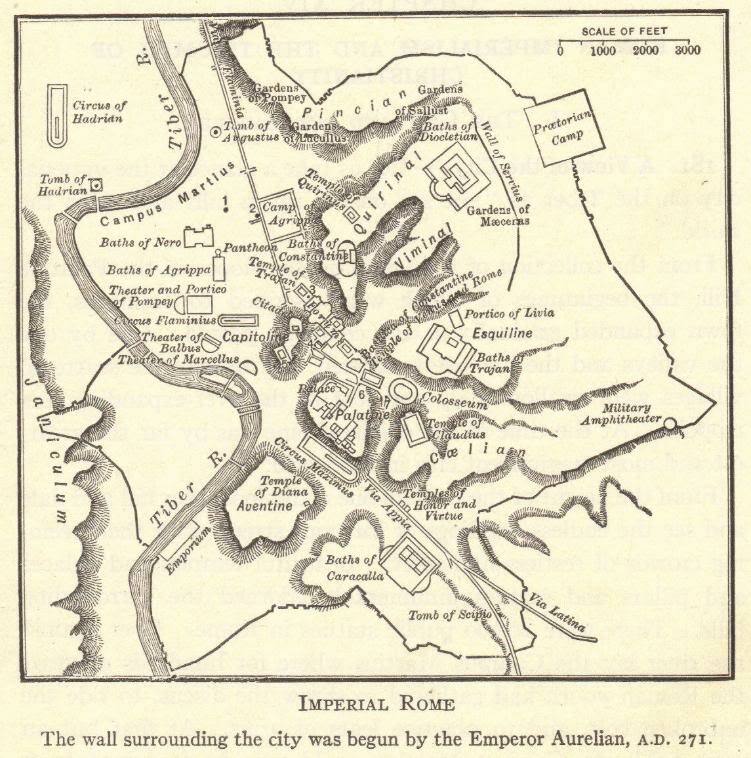 Which emperor began building a wall around Rome in 271 CE? 5. According to legend, who founded the city of Rome? 6. The Baths of Trajan were located on which of Rome's seven hills?